NetBet Casino are celebrating Easter by giving away cash prizes and free spins – all you need to do is wager on selected Easter themed slot games. 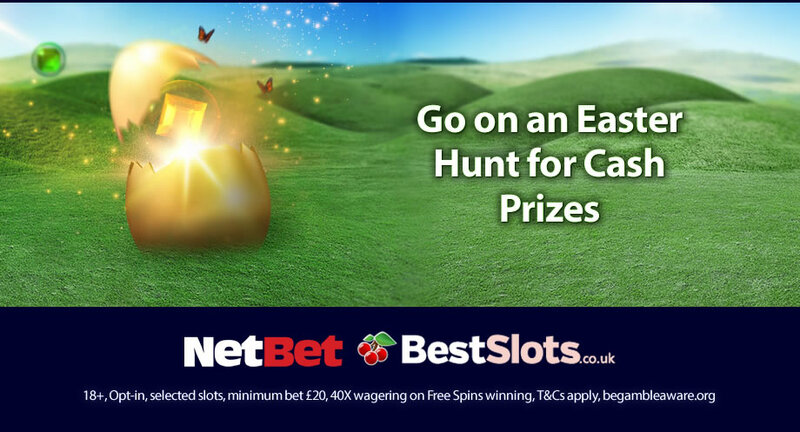 The Easter Special promotion runs until the 25th of April (2019) – to enter, click on the Opt In button (within the ‘Promotions’ section) and then wager £20 on NetBet Casino’s Happy Easter slot game collection. Every £20 you wager will give you 1 ticket for the prize draw. 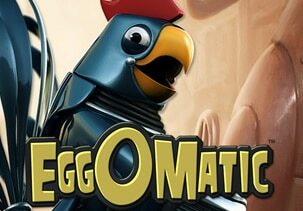 Every player that enters the promotion and wagers £20 on the eligible slot games will be guaranteed to receive 20 free spins on Net Entertainment’s EggOMatic. With 5 reels and 20 paylines, you can spin away from just 20p a spin on all devices. You will be taken to a robot egg factory where an egg dispenser sends eggs along the conveyor belt – you will see spreading wild eggs, free spins eggs, coin win eggs and surprise eggs. If a Wild Rooster appears on the reel below 1 of the 4 eggs, you will trigger the relevant bonus feature. Coin win eggs give you cash prizes up to 125 times your stake with spreading wild eggs transform adjacent and diagonal symbols into wilds. The free spins egg triggers the Free Spins feature with up to 50 free spins on offer – once in, more eggs can appear to give you even more free spins, spreading wilds, cash prizes and mystery eggs. The latter will give you 1 of the other 3 eggs. Often overlooked, EggOMatic is the perfect choice this Easter. Other slot games you can play in this promotion is 7 Piggies from Pragmatic Play, Wonky Wabbits from Net Entertainment, Easter Island from Yggdrasil Gaming, Candy Dreams and Rabbit in the Hat from Microgaming and White Rabbit from Big Time Gaming. 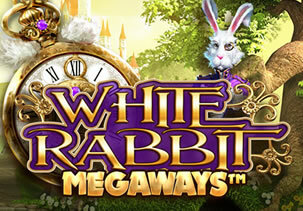 Of the slot games mentioned, I would recommend White Rabbit (from Big Time Gaming) – based on the Alice in Wonderland fairy tale, this MegaWays title offers up to 248,832 to ways to win and can be played from just 10p a spin on all devices. With the Mad Hatter, the Dodo, Tweedledum and Tweedledee and the Cheshire Cat on the reels, it comes with a Caterpillar Wilds feature where multiplier wilds are fired onto the reels which can double or treble your outcome. The Free Spins feature gives you up to 75 free spins in total with top paying Red Queen symbols and wilds added if you extend a reel fully. Highly volatile, you can win a whopping 13,000 times your stake on every spin/free spin. Not played at NetBet Casino?